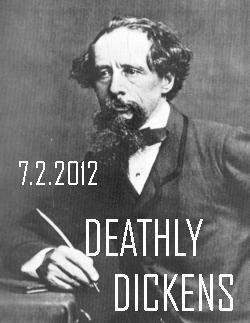 We can now confirm that we’ll be returning for our next event on 7 Feb, to celebrate in style Charles Dickens’ 200th anniversary, as part of a season of events all over London looking at the key literary figure and his body of work. Hope to see you all again then. Tickets are now on sale through Cass Art, so get your grubby street urchin mitts on them now while you can! On the 200th anniversary of Charles Dickens’ birth, join Art Macabre Drawing Salons to explore and celebrate Dickens’ particularly dark portrayals of love and relationships. From bad romance to bleak bridezillas, Great Expectations to Oliver, draw characters as you listen to literary delights. Explore the complexities of the human heart at this pre-Valentine’s Victorian special edition of the salon. £8 to participate, drawing materials included thanks to Cass Art. Includes 20% discount on post-drawing drinks at Wenlock & Essex pub. Over 18s only. Limited capacity, advanced tickets recommended. Profits raised from this salon will go to support UK charity YoungMinds, supporting the emotional wellbeing and mental health of children and young people, a charity very close to Art Macabre’s heart. 2 Responses to What the Dickens? Thank you for a fun evening. I loved all the characters and costumes. Great inspiration to draw.